What You need to look for before buying a scuba diving course in Phuket. So your thinking of taking a holiday and taking a scuba diving course in Phuket and with so many options and choices your starting to get a little confused: but seriously you need to do some personal investigation on what you are going to get for your money. The following is intended as a guide to help you understand diving and to avoiding the pitfalls many make of buying from a misleading travel agency, booking agent, or hotel tour desk who often have little idea about how or whats included in a scuba diving training course. What kind of diving activities are available for Beginners? Diving certification courses are those that result in a licence being issues, licences can either be digital, physical plastic cards, or paper cards. Non certified course are try scuba, basic diver, or what other call Discover scuba diving or resort beginner dives these are taster experiences. What you should avoid when buying a scuba course in Phuket! The biggest mistake you can make is buying a course from a travel booking platform or diving portal website! often more than not the website or travel portal won’t have a physical business location or property in Phuket theses are travel agencies that have no place in diver education in Thailand and likely no comeback or insurance if things go wrong with your course..
Information websites that openly index activities and advertise diving as one of a host of general things to do are really just mimicking agents, meaning the booking is then resold to a supplier in Phuket. If you communicate directly with any dive shop in Phuket you are then 100% sure that you will get the best possible professional diving course and service. Find the right dive centre for your diving course? Phuket has some great professional Scuba Instructors and diving centres that offer fantastic diving courses, by visiting a local dive shop or doing a little research now you will get a feel or level of what you can expect s well as how professional the diving training centers are, well trained dive centre staff can advise you on what you want from your diving course. What to look for from a reputable scuba diving training centres and facility. Free online e learning at no additional charges is a bonus allowing students to pre self study. A dive centre that is a physical shop store and not some website portal selling diving. A scuba diving training centre that has its own private diving pool. A Training center that has a large retail area stocking hi quality branded scuba diving products. Free scuba diving equipment provided on all scuba training courses. A dive centre that has a team of great experienced instructors with a history of satisfied customers. Affordable prices on beginner and additional training courses bundles. A history of documented reviews from satisfied customers. How long will it take me to learn to scuba dive and get certified? Digital learning materials will allow you to start diving today before you depart for your holiday this process you can access now for free. usually it takes 2- 3 days for a typical 3 day open water course. Whats the minimum age for learning scuba diving? The minimum age for most scuba courses is 10 years if diving in the ocean – some pool courses allow children 8 year or older to participate. What options are open for me to learn to dive in Phuket? 1-2 Hours in a training pool scuba lesson this is a non certification, or as a half day or full day experience. If you are looking for a full scuba licence with certification this can take 2- 3 days with the Scuba diver course or the well known open water diver licence. Do I need to be able to swim to get a scuba certification ? All entry level scuba diving certification courses has a minimum requirement for student divers to be able to swim 200m or swim 300m using mask snorkel and fins some courses will will have a additional float tests for 10 mins in water to deep to stand up in without any floatation aids or assistance. Maybe you need to practice before you sign up. If You don’t Know swimming or cannot swim then you would then be better off trying a Discovery Dive first, or take swimming lessons. Can I dive without a licence ? Yes that’s possible with try scuba in a pool or a basic discover scuba diving experience but your better off searching for a reputable safe dive school. How much will it cost you to get scuba certified in Phuket? What brand of education materials can I choose? 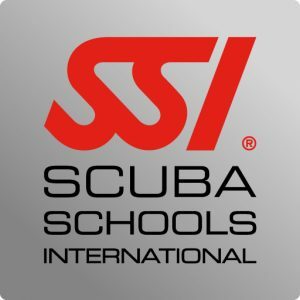 PADI and SSI are equal both global leaders in the diving industry for the last 30 years when it comes to Diver education, simply there’s simply no other agencies that comes anywhere near to certifying divers world wide each has online training available to assist with student education. Standards Organisation/European Underwater Federation). The knowledge and skill requirements are almost identical which means certifications are equivalent, interchangeable and recognised globally. It is important to remember that the top globally recognised agencies are brands and all offer training courses that meet thes ame international standards. Ultimately Its still the Instructor who has the biggest influence on the quality of the courses taught, and the divers developed. How can I save time with Pre study? In the modern changing world we all adapt to technology at our fingertips to access information, tv remotes, i pads, laptops, note books, mobile phones, free downloadable diving apps are becoming increasingly more popular. SSI offers free online learning materials and free insurance with a host of other free extras, most dive shops will offer PADI & SSI based education and is its in the common interest of customers to have a choice of both options of reading materials. Beginner divers have the ability to read about scuba diving online using e books and watch intuitive videos. Scuba diving education has evolved and is now just a moment away from you being able to access this now on your phone. Scuba Diving apps are increasingly popular and available as a means for diver education without the need to pay making learning enjoyable and worthwhile allowing you to progress, and start at your own pace. Understanding the difference between Books and Digital courses watch this informative video on why digital e learning will save you holiday time. You need to decide what method of learning will suit your time frame and holiday – digital or conventional paper books and Classroom study? PADI digital elearning course material can be purchased online to save time directly from PADI for $210 you can access the theory and complete the exam online. Can I take the classroom & pool session in my own country then complete my training dives in Phuket? Yes this is a called a referral and most dive centres will accept you as long as you can provide proof of the training you have already completed. For any pool experience or confined water training dive it’s normally the case that diving centre training pools are no deeper than 3 to 6m additional discover scuba diving or basic diver courses its a maximum of 12m in open water. For PADI & SSI open water certifications the first 2 open water training dives you will dive to a maximum of 12m and the last 2 open water dives 3 & 4 will be to 18 meters or (60 feet). What dive sites choices are available for scuba diving certifications? If you are contemplating a short course or half day experience then local diving is available at the beaches these are shorter days and logistically you don’t spend time in a traffic jam or on a long boat rides to distant islands. Diving at Kata beach is one of the main choices and most Diving instructors favorite dive sites on the island. Do I need a Logbook to record my diving? How long will it take to get my card after completing the course? If you ever passed a car driving test then you often get issued a temporary or full Licence that can take weeks to be processed, scuba diving licences can be similar in many ways. Temporary cards can be Paper wheres as Digital are more diver as well as environmentally friendly. SSI Digital certification is instant and won’t be delayed as its digital meaning that you will have proof that you are a diver or have completed additional training this is completed either while returning from the last dive to the port or within 24hrs, with your digital certification C card on your mobile phone having completed your course, you will have free access to all your C card via the SSI app thats you download to keep all your certifications in one place. Some diving educational brands take longer to supply your Dive licence than others and Instructors may issue you with a PADI paper card that’s valid for 90 days, this is pretty disappointing if it gets wet and you may need to wait a while for your plastic card to be posted to your home address, this can take 4- 6 weeks. How do I choose Digital, Plastic or Paper certification cards? You need to ask this to the store “what card will I receive and how long will it take for delivery” ? SSI provide free digital c card and you may also request a physical card made from plastic – again this can often be printed at any of the SSI regional office in Phuket and delivered to you by hand the day you complete your diver training. If you have opted for PADI certification you can request an upgrade to digital Certification card for a small fee of $37 USD and you can purchase this directly from PADI local offices outside of Thailand. Will my scuba diving licence expire if I haven’t dived in a long time ? If its been a while since your last dive then you would simply complete a refresher go over skills and refresh theory and safe diving habbist with a diving instructor. How long do I have to wait before I can Fly after scuba diving?